When your children aren’t old enough to be at preschool, it can be hard to know how to keep them busy. You might go to toddler groups or arrange playdates with friends. It can be tricky to get the balance right, though. How much should be fun and how much should be learning? When they are so little, you can mix up the two, without them really noticing. One method that is effective is the Montessori approach. It is a system for young children that helps them to develop natural interests and activities. 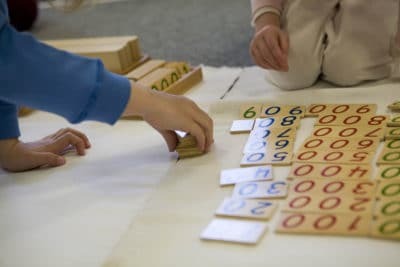 Rather than formal teaching methods, the Montessori approach encourages exploration, so kids play and learn at the same time. They don’t have to be sat at a desk to be learning. It will get them ready for preschool, school or homeschooling; whatever kind of school they go to. However, if this is something that you want to explore, do your research as to what is around in your local area. An example would be somewhere like Primary Montessori Day School. It shows that they can learn and develop at a school that follows the Montessori principles. This is a really important step. The Montessori approach is about our children thinking for themselves. It helps them learn about life and choices, before a strict curriculum. So our children need to feel free to move around the home and learn about the things around them. If there are things that can get damaged, it will stress them as well as you. You want to eliminate the chance of them being scolded for breaking something. Being able to make their own decisions is important for their independence. There are certain things that they won’t be able to make a choice about, for example. So do bear in mind their age and what will be appropriate for them. Having their toys all out in reach for them is an important part of this. They can’t make the choice of a puzzle or crafts if their craft things are all hidden on a high shelf. So allowing things in their reach will help them to make the choices. They will learn a lot of things in life by imitating you. Take being in the kitchen, for example. They will copy what you are doing and learn that way. So having things like spatulas and some pots and pans in reach for them is a great idea. They can follow along and play cook as you actually cook. This might sound a little counter productive. But organizing toys and putting them into categories is an important part of Montessori. Children will learn to classify or categorize their toys in this way. It will help with their memory and concentration for sure.